Hello, duelists! Welcome back to The Scoop! The absolute realest Yu-Gi-Oh! News Report on the internet, and of course it's right here on ARG! We have reached the conclusion of the World Championships as well as the ARG Circuit Series Championships, marking the end of one of the most fantastic seasons of Yu-Gi-Oh that we've seen in quite some time! I'm excited to see what this next year will bring, but not before wrapping up this years events and remembering all of the incredible moments we've seen in the game this year. Before we get started, I'd like to extend the biggest congratulations to Chris LeBlanc, who took home the ARG Circuit Series Championship last weekend! He's been quite incredible throughout the years and continues to show his strength as a player. He played at an incredibly high level all weekend, and I had the pleasure of watching him earn his third title. In another hemisphere, the best of the best from each respective zone of Yu-Gi-Oh faced off in Kyoto, Japan for the World Championship tournament! It is the pinnacle of dueling and the aspiration of many duelists around the world. One of the favorites to take home the title of World Champion this year was my friend, Panama's Galileo De Obaldia! He's a renowned duelist with nearly untouchable credentials. This past weekend, he made an unprecedented THIRD appearance at the World Championships! His other two trips ended in a 1st and 3rd place finish! This trip, however, ended with Galy losing in the finals to claim second place. I had the chance to sit with Galy to talk about his trip and about Yu-Gi-Oh in general and I couldn't be more appreciative of him taking the time to chat with me! So we'll jump right into the interview with World Championship Runner-Up, Galileo De Obaldia!! Good afternoon, Galy! I hope all is well with you today. Before we get started I'd like to say congratulations on yet another amazing year in Yu-Gi-Oh! So this is your third trip to the World Championship! Tell me, how was this Worlds was different than the two that you attended previously? Well, all World Championships are very similar in the sense that you feel something special is going on. The big difference this year is the fact that it was held in Japan, which gave it an extra "something". Yeah, they're definitely all very special events and it has to be quite an honor to be able to have attended in three different locations! So amidst all the hits on the list to Nekroz, you decided to play them anyways. What brought you to the conclusion to still play it? 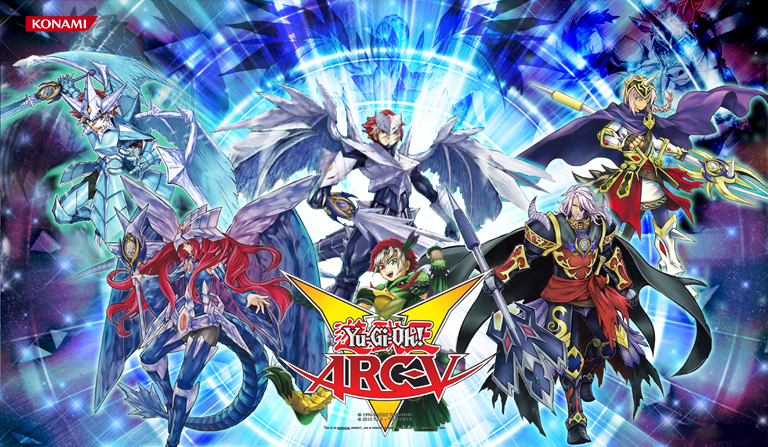 What makes world´s especially difficult, apart from playing against the world´s best players, is the fact that the mixture of both OCG & TCG banlists, gives a unique list. This makes deck building just as important as technical play. For this reason, I established a "big 4": Qliphort, Tellar, Heroes & Ritual Beasts, with Nekroz & Infernoids as potential dark horses. The only deck that caught my attention out of the big 4 was Ritual Beasts, however, I would be at a huge disadvantage against the top RB players due to lack of practice - not really knowing how to play the deck. It was for this reason that I decided to try and figure out a way to make the best Nekroz deck possible for this meta, even though there were huge limitations on it. The surprise factor, plus the fact that I could potentially avoid playing any mirror matches, allowed me to play a completely different type of Nekroz deck than is usually the case. This is a matter of feeling comfortable with a deck. In the last 3 major tournaments (YCS Colombia – 2nd place, Nationals – 3rd place & WCQ – 1st place) I had gone 32 – 2 (non-draft), of which one loss was in time after having won game 1 properly. I had to go with the deck that I knew, even though it required major changes to make it viable. That's a valiant stance to take on the matter, especially considering the magnitude of this tournament! I have to imagine that testing was the most rigorous part of the process, as the changes you were required to make are changes that hadn't been implemented in any version of the deck you've piloted thus far. What kind of effort went into that testing? Most of my testing revolved around bouncing ideas with my United Gosus team mates & some close friends. Even though actual play testing is important, I found this to be the key for me for this tournament. Some of the initial ideas were refined, but some drastic changes were made from the original assumptions. That's understandable. It's clear that your prowess with the deck is at a very high level, so the ideas and details that your friends and teammates could provide is what would take that knowledge to a new plateau, which would set you apart from the crowd, and is what ultimately allowed you to go so far. I commend you and them for being able to concoct such a mixture of power, consistency, while also maintaining clear win conditions within a depleted deck! You went 7-0 up until the final match, which was your favorite one out of the entire weekend? In terms of enjoying the game, my round 3 vs. Noah Greene was great. It was the most fun I've had playing in quite some time. Most of my games were really friendly, but this one stands out. I´m really sorry that he had some awfully bad luck in the last two rounds, but I´m sure he´ll do great in the future. - First two time world champion. - Surpassing the coveted 23-0 set by Adam Corn (I was tied with him). - Undefeated world championship run (16-0 WCQ & 8-0 Worlds). - Surpass Michel Gruner in the United Gosus ranking to be #1 all time. All this with thousands of people watching around the world, and at the venue. The stage could not have been any better or bigger. Unfortunately, I came up a little short, but I still feel proud of what I managed to accomplish – and even more so, about the support I received from all around the world. I believe I speak for us all when I say that regardless of the outcome, we're all absolutely proud of you. There was a lot at stake for you this event in terms of the history of the game, but in most opinions, you'll still stand at the top when the dust clears. You made quite the effort and had plenty of support, and you definitely didn't disappoint. Seeing as how Worlds is the mecca of dueling for the year, you'd expect to see some spectacular plays. Are there any that you made or saw that were just mind-blowing? - Tributing a Valkyrus & a Sorcerer, to get access to Unicore. - Remove a Nekroz spell to get Nekroz Mirror. - Nekroz Mirror into Trishula. - Unicore for Brionac for Catastor, to revive Sorcerer. - Summon Ghost Ogre to make Ancient Wyvern. - Attack with Trishula (Opp: 4300 Me: 8000) *Note, opponent had played a Soul Charge. - Attack with Ancient Wyvern for game. What?! That is an INSANE play!! That's very high level, and I can absolutely appreciate the intricacy of it. It's clear that you know plenty about the game just from hearing about that play alone, but did this World Championship teach you anything about the game that you didn't already know? It reinforced my believe that no matter how good you, or people, think you are, there is ALWAYS a lot room for improvements! That's definitely true. Always room for the best of the best to continue to grow and progress, whether it be in terms of the game directly or it be a mental advancement that affects your level of play indirectly. What about that final match, though, Galy? Is there anything you believe you could have done to take it home? I don´t know if I was the favourite! To be honest, I haven´t reviewed the finals, but my feeling at the time was that there was nothing I could do games 2 nor 3. The feedback I've received is the same, however, I will review the match soon to see if there´s anything I missed. If you come up with anything that could have changed, I'd personally love to know it! So away from the actual play in the tournament itself, what was your favorite part of the weekend? My favourite part of the weekend, as is always the case, is meeting with old friends & making new ones. I cannot express how great all the players & Konami staff were. It is because of the people that this game is so enjoyable! I honestly believe that is the reason a lot of us play. The people you meet and the friendships that are formed are incredible. You're among the favorite players of a lot of duelists, myself included. But almost everyone has a favorite. So who's your favorite? Anyone you looked up to during your ascent through the ranks of history? Thanks! I honestly don´t have a favourite player. However, if I was forced to say a name it would be someone that even though I never had the chance to meet or play against, I have huge admiration for – Lazaro Bellido. He was around when I was just starting out, and was someone that was clearly very respected. He gave me something to aim for. Lazaro was quite the fantastic player, and one of my favorites as well. He's a very admirable player indeed and one of the greats. So in terms of the game itself, what do you think could be better? People have varying opinions of the state of Yu-Gi-Oh but I believe it has hope to continue on for quite some time. What do you believe could change in order to make Yu-Gi-Oh a better game to play? If I could change two things about the game, they would be to promote the competitiveness of it. First, I would change the prize structure. I understand Konami operates most events at a loss, and it´s seen mostly as advertising for them - however, with the popularity of the game, there are different ideas that could be explored. Off the top of my head would be partners / sponsors, that could allow for a better prize structure. Additionally, I would work even harder on designing balanced formats (Both on the forbidden list and card design) which reward better players. There is nothing less motivating than preparing in a format where you can easily lose to a player less prepared than you. That's a rather disheartening way to lose, indeed. 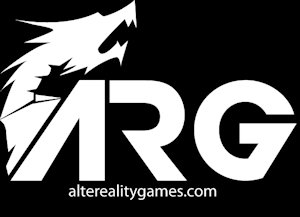 And I couldn't leave you without asking: What do you think of the events that ARG has put together, and how they conduct their events as a company? I cannot comment on how ARG conducts their events as I have not been fortunate enough to attend one. However, from the comments I have seen, plus the feeling I have of these efforts, I feel like Jim and his team are doing great work and I wish them nothing but the best. Any positive action that can help the game grow is a great thing in my eyes. Well I can definitely get behind that! We hope to see you at an ARG event very soon, Galy! It's been fantastic talking to you and, unfortunately, we're drawing to a conclusion, but first: Is there anyone you'd like to thank for their support or their assistance in your run? There were way too many people who have helped and supported me to mention, so even if I don´t mention you please know that if we have talked, it means a lot to me! However, a special shout out to Tomas Bianco – my dear friend who travels with me almost anywhere. I hope there are a lot more adventures for us! The United Gosus family, who to me are more than just a team, and to everyone else who has supported me all this time, it was much more than I could have ever imagined. Love you all! This has been absolutely fantastic, Galy! I thank you for taking the time out to sit and chat with me and give me your insight to the game as well as a great recap of your experience over the past weekend. I know your future will continue to be bright within the game and I hope to sit across from you one day playing for a title! Thank you very much for appearing on The Scoop! Alright! That's it for The Scoop for the week ladies and gents! I thank you all once again for checking out my sit-down with Galileo De Obaldia! As always, if you have news you'd like to see investigated or people you'd like to see interviewed, drop it in the comments and I'll make my absolute best efforts to bring it all right here to you! Until next time, as long as there is a next time, Play Hard or Go Home! !